This article was supposed to be all about showing you the shirt muslin I made from McCall’s 6613, and the adjustments I was going to make. A funny thing happened along the way: Browsing the forums at Pattern Review, I discovered they have a Mini Wardrobe Contest happening for the month of July. Since the whole point of this project was to build up my summer wardrobe, the contest seemed like a good thing to do. This entry was posted in Project Planning, Shirts, Trousers and tagged mccalls-6613 on June 30, 2014 by mportuesisf. Hello everyone! I have lots of small stories to share today, but one of them is a big new project. I thought my Wool Felt Techie Cover project was complete – I had really only purchased enough fabric to make cases for the laptop and tablet. 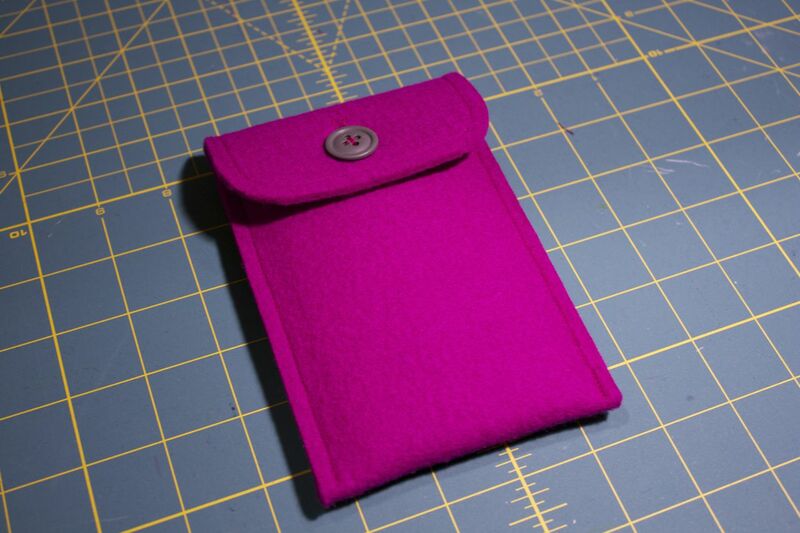 But I noticed there was enough of the berry pink fabric left over to make a case for my cellphone. So here it is. This entry was posted in Bags and Cases, Patterns, Project Planning, Shirts and tagged mccalls-6613 on June 23, 2014 by mportuesisf. 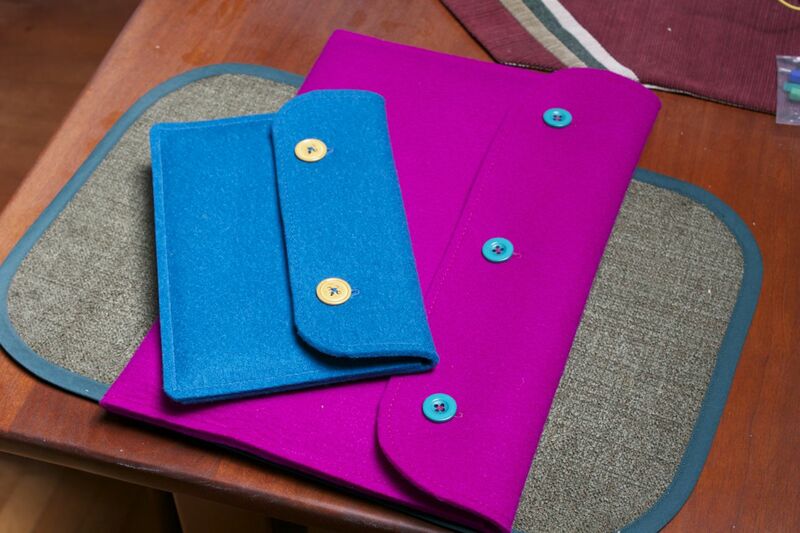 For an “in-between” project, I made wool felt covers for my laptop and tablet. 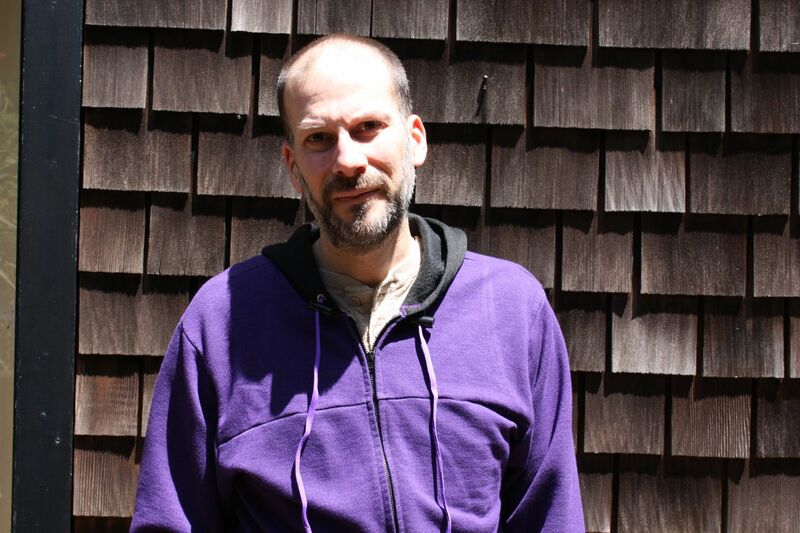 (Click/tap on photos to see larger versions). This entry was posted in Bags and Cases, Completed Projects on June 18, 2014 by mportuesisf.